My acquaintance, Eileen, can be seen in the photograph atop this entry. Eileen Bransten Simpson is someone I've known since the early 1990's (through my then fairly active membership at The Church of the Blessed Sacrament (in NYC). I have seen Eileen a number of times at mass, including one for the Easter Vigil, when she converted from her religion to Catholicism. She went through RCIA to this, and sponsored by her husband, John Simpson, who died this past Sunday, August the 20th. Simpson's funeral mass was this past Wednesday, which I attended, and, of course, I saw Eileen. Eileen is the daughter of Ruth McKenney, the deceased author of My Sister Eileen. And Eileen Bransten Simpson is named for McKenny's sister. According to Wiki, "the stories were originally published in The New Yorker, which eventually inspired many other works: My Sister Eileen (a 1938 book), a play, a musical, a radio play (and an un-produced radio series), two motion pictures, and a CBS television series in the 1960–1961 season. "The stories center on two sisters from Ohio who are out to make successful careers while living in a basement apartment in the Greenwich Village section of New York City. Older, sensible Ruth aspires to be a writer, while Eileen dreams of success on the stage. A variety of oddball characters bring color and humor to their lives." 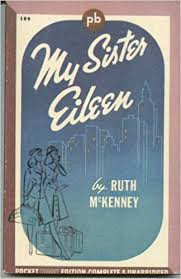 "RUTH McKENNEY'S sister, Eileen, died in 1940 at age 26 in an automobile accident in California, two years after ''My Sister Eileen'' was published and four days before its first stage version opened on Broadway. 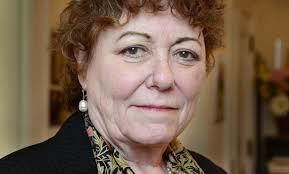 Ruth McKenney's daughter, Eileen, was born a year and a half later. She is a State Supreme Court justice in Manhattan. "Eileen McKenney had moved to the West Coast and married the novelist and screenwriter Nathanael West ('Miss Lonelyhearts,' 'The Day of the Locust'). They died together in El Centro, Calif., on Dec. 22, 1940, while returning from a hunting trip to Mexico. "... Ruth McKenney had also married a writer, Richard Bransten, in 1937. The son of the head of MJB Coffee, a large West Coast company, he often wrote for the leftist New Masses magazine (as did she). The couple were members of the Communist Party but were ousted in 1946 in a dispute over party policy. "Justice Bransten said that her mother and father never talked to her about being blacklisted, but Ruth McKenney is cited in 'Blacklisted: The Film Lover's Guide to the Hollywood Blacklist,' by Paul Buhle and Dave Wagner (Palgrave Macmillan, 2003) as a blacklist victim." So there you have it dear reader, one of many interesting stories associated with my acquaintance Eileen, the recently widowed judge, who with her husband, John Simpson, did many great works for their community and related causes.